One, would anyone accept me as a volunteer? Two, would I be able to take photographs of shelter animals of differing dispositions in unfavourable circumstances? And three, would it ever make a difference in the lives of these little furry faces? So hesitant was I to offer my services that it took months before I plucked up the courage to walk into Toronto Animal Services to inquire if they needed anyone with my skills. As serendipity would have it, the shelter manager herself happened to be at the front desk that day, and as I stumbled badly through my “pitch”, I thought for sure she would say no. Her answer was immediate. When can you start? That was in November of 2011…a whole year has passed since then! In that time, I have had the privilege of working with the wonderful staff at TAS – they have been integral in the success I have found in doing this week after week. I have also had the joy of meeting so may wonderful furry faces and watching with happiness as they, one by one, find their forever homes. Truthfully, some days are better than others. Sometimes the weather is glorious, the dogs and cats perfect models, and it is like I cannot take a bad photograph. Other days, it is raining, cold and we have the challenge of photographing a shy and fearful dog. But either way, those few moments of belly rubs and treats results in a photograph that will be posted on the website for the world to see. Which brings me to Buddy. I photographed Buddy this past summer on June 11, 2012. We took his image in what I call the “courtyard” at TAS…not as picturesque as it sounds. He was a bit shy, bewildered really as to how at 10 1/2 years old, he now found himself abandoned. 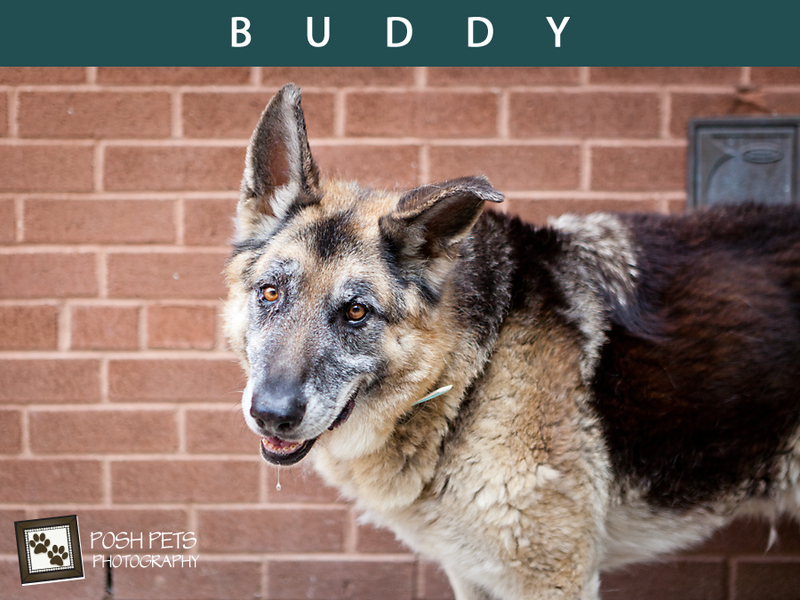 I knew we had to get a special picture of Buddy for this senior to have a chance at adoption and, as I recall, I worked with him for quite a while. When I returned the next week, I was told that Buddy had gone to rescue. This made me happy as he would have a better chance in their hands, but I was sure that that was all I would hear of him. You see, I don’t often get feedback as to what happens to the animals after they go to rescue, and I didn’t expect Buddy’s situation to be any different. Alfie (formerly Buddy ) was not put out on the adoption floor as he had been pulled by Speaking of Dogs. His photo was that of your beautiful work so I recognized immediately he had come from TAS North… While the old man of 10 1/2 was scraggly, emaciated and in serious need of medical TLC your photo exemplified his gentle, loving soul through his soft brown eyes. I can only imagine how difficult he would have been to adopt given his condition with the usual quick point and shoot. Thanks to you & Speaking of Dogs he came ‘ home ‘ to us and lived two spoiled, adored months of squirrel chasing, hugs and lake trips. Thank you for offering your time and care to those who need it most. My eyes welled with tears when I read these kind words. Not only had Buddy (now Alfie) found a home, but he had enjoyed the last two months of his life surrounded by love and comfort that only a home can give. And…the writer had said that my image had made a difference! Two months or two years seems like a blip in time but we could not have imagined our lives without that boy. Total lover – a leaner if you will. Was our pleasure to shower him with love and dignity. Life is about quality not quantity. Seniors have so much to teach us about life and love. Such truth in those words. And so, thank you to all of you who foster and adopt abandoned animals, especially the seniors. Thank you to all of the shelter and rescue organizations that give these furry faces a second chance. And thank you, dear blog readers, facebook followers and all of you who reach out to me to let me know how the story ends for these lovely pets – I truly appreciate it! I will now leave you with Buddy’s image. Looking at it now, it is not the best one I have ever taken. It won’t ever win any awards. But, it got Buddy, as Alfie, a second chance. And that, quite simply, is good enough for me. I am not alone in volunteering for a shelter organization. Posh Pets Photography is a proud member of HeARTs Speak, a global network of animal photographers, artists, authors, graphic designers, and advocates who believe in the power of collaboration to reduce the number of adoptable animals unnecessarily euthanized each year. Artists. Helping. Animals. 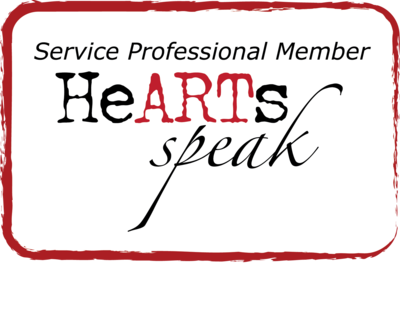 For more information on HeARTs Speak, please see their webpage by clicking here. Thank you so much for helping us find our dear boy Alfie. He will be forever in our hearts.